We are happy to invite you to a fairy-tale time-travel through ages, to the world of white houses, cherry trees and tasty borsch of granny. 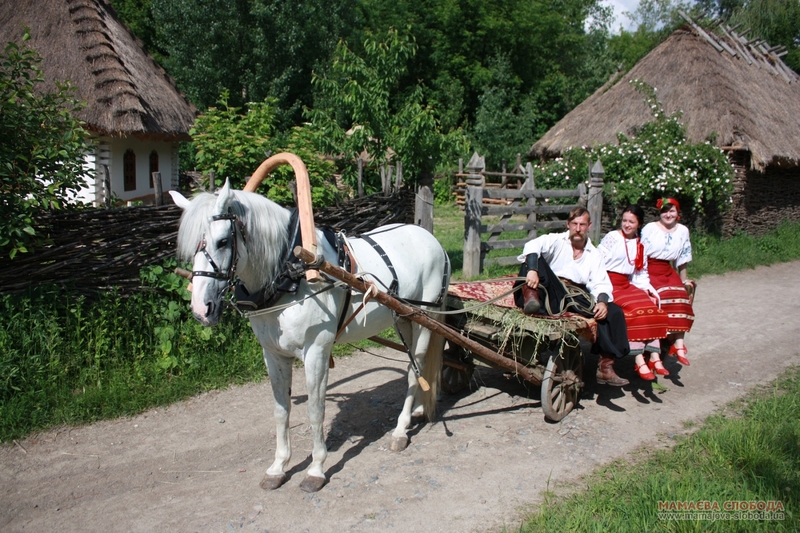 Accompanied by Cossack girl dressed in Ukrainian outfit of the 17th – 18th centuries you will travel over the pathes of “Mamayeva Sloboda”. During the excursion you will get to know about Cossack traditions, visit Cossack church of Intercession of the Holy Virgin and have a souvenir for your memory. You will be able to meet and feed real oxen, little sheep, goats, pigs, gees, chichen, rabbits and fish. After excursion you may visit a smithy and make a knife or a flower of iron. Then you may ride a horse or a cart. Later on, you will be able to enjoy the historical Cossack dishes in shynok (traditional restaurant).